Jimmy is the pastor of Landmark Baptist Church in Fort Worth, TX. He also serves as the Director of Landmark Mission Projects, and is the President of the Landmark Baptist Theological Seminary. Maggie is the church, seminary, and L.A.M.P. secretary and works in the L.A.M.P. offices duplicating DVD courses and sending them out to missionaries in foreign countries. 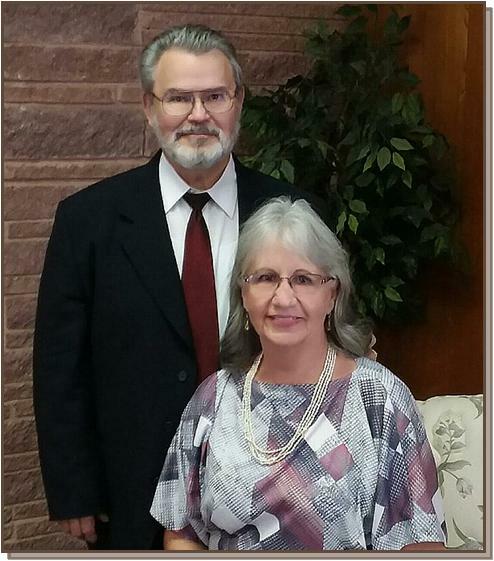 They have the desire to help Missionaries and National Pastors establish indigenous, local, New Testament Baptist Churches and train Nationals for the work of the ministry. Since 1996 trips have been made to Brazil, Burma, Canada, China, Cuba, Greece, Honduras, Hong Kong, Kenya, Malawi, Mexico, Mozambique, Peru, South Africa, and Thailand and Uganda.